The Mobile Mosque, a mosque on wheels with the capacity for up to 50 people at Toyota Stadium in Toyota, western Japan. As Japan prepares to host visitors from around the world for the Summer Olympics in 2020, a Tokyo sports and cultural events company has created a mosque on wheels that its head hopes will make Muslim visitors feel at home. TOKYO – A large white and blue truck pulls up outside a stadium in central Japan and slowly expands into a place of worship. As Japan prepares to host visitors from around the world for the 2020 Summer Olympics, a Tokyo sports and cultural events company has created a mosque on wheels that its head hopes will make Muslim visitors feel at home. Yasuharu Inoue, the CEO of Yasu Project, said the possibility that there might not be enough mosques for Muslim visitors in 2020 is alarming for a country that considers itself part of the international community. His Mobile Mosques could travel to different Olympic venues as needed. “As an open and hospitable country, we want to share the idea of ‘omotenashi’ (Japanese hospitality) with Muslim people,” he said in a recent interview. 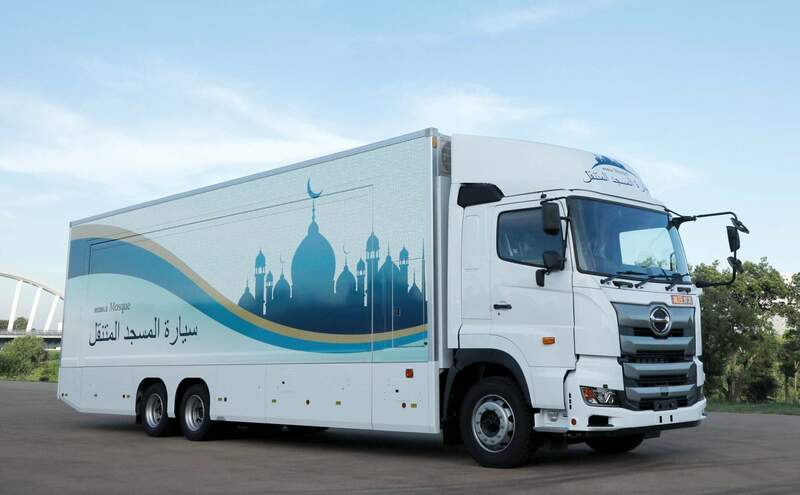 The first Mobile Mosque was unveiled earlier this week outside Toyota Stadium, a J-League soccer venue in Toyota City, which is also the headquarters of the car company with the same name. 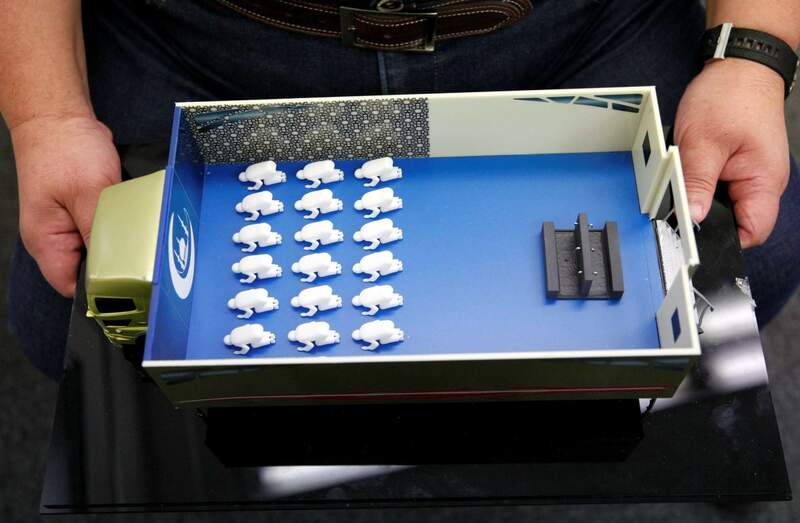 Yasuharu Inoue, chairman of Mobile Mosque Executive Committee, shows a scale model of Mobile Mosque, a mosque on wheels with the capacity for up to 50 people in Tokyo. As Japan prepares to host visitors from around the world for the Summer Olympics in 2020, a Tokyo sports and cultural events company has created a mosque on wheels that its head hopes will make Muslim visitors feel at home. The back of the modified 25-ton truck flipped up to reveal an entrance and then the side slid out, doubling the width of the truck. The 515-square-foot room can accommodate 50 people. Tatsuya Sakaguchi, a Japanese guest, expressed hope that the Mobile Mosque would help open people’s minds worldwide. Initially, the project organizers plan to target international sporting events both in Japan and overseas. Inoue said he hopes the project will do more than fill a gap in religious infrastructure. “Going forward, I would be so happy if people from Indonesia, Malaysia, Africa, the Middle East and, for example, refugees who are coming from Syria are able to use the mosque as a tool to promote world peace,” he said.